Netball Skirts and Netball Tops can be worn for most individual and team sports. Our Netball Skirts are available in nylon lycra, polyester lycra, sorbtek lycra & microtex (sportsmesh) with an elasticised waist in flared & straighter more modern styles. Any of our print designs in the web site can be adapted to be sublimated onto the skirt designs. 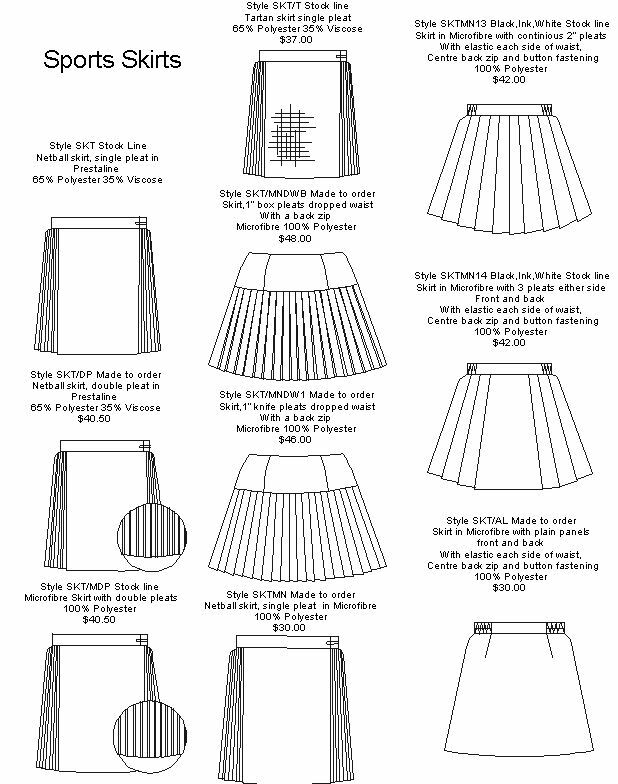 We also supply a large range of microfibre & prestaline pleated skirts to suit most budgets. Netball Tops are available in a range of styles, with round or V-necks, side inserts, cap sleeves & collars. 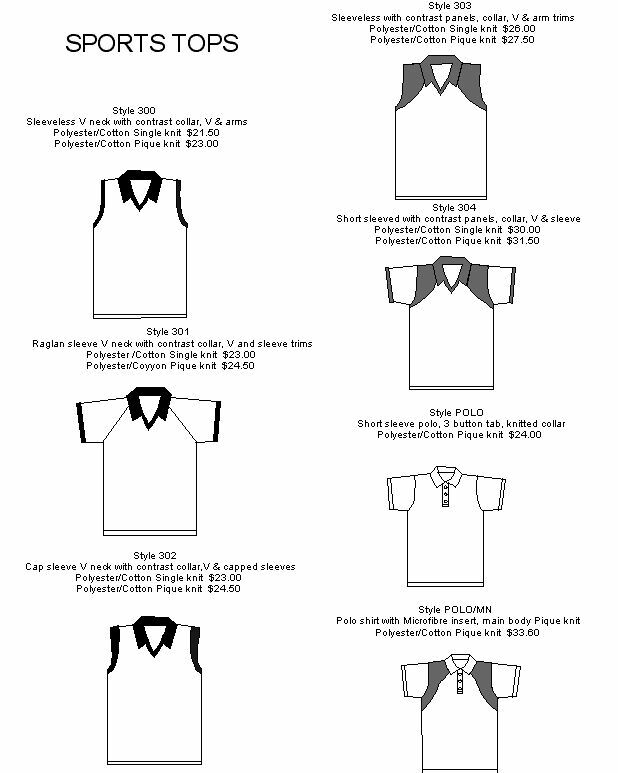 Polo tops and Training Tops can be fully printed to match playing uniforms. 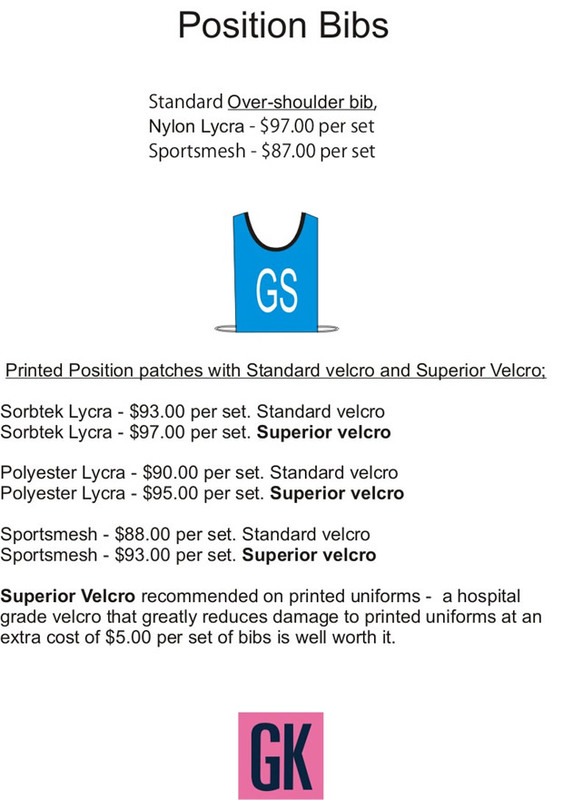 We are now using elite sports fabrics with sweat management properties for our netball tops.